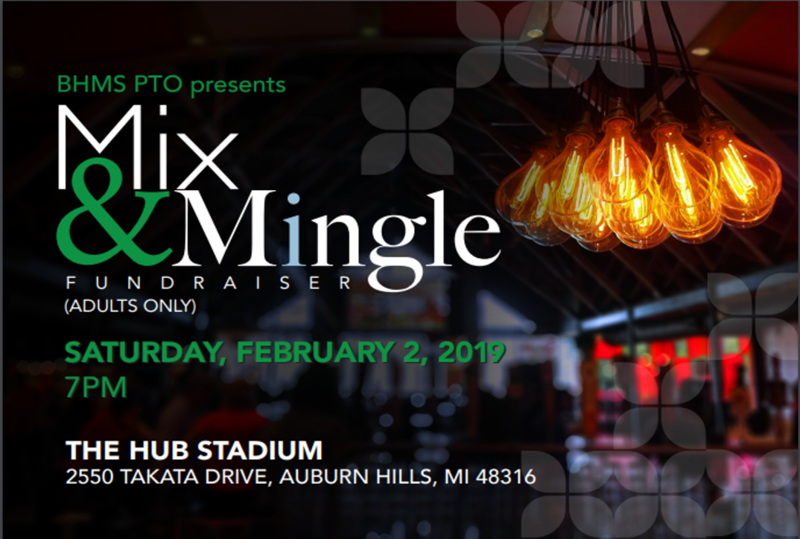 Attention Bloomfield Hills Middle School Parents - please join your fellow parents and staff for the second annual, Parents' Night Out, a night filled with fowling, food, bidding, and mingling! The event is Saturday, February 2nd, at the HUB Stadium in Auburn Hills. Visit the E-Store to buy tickets now!